Ushuaia is the southernmost city of the world. It is the capital of the Province of Tierra del Fuego and South Atlantic Islands. It is a large and modern city on the border of the Beagle Channel, surrounded by forests made up of Lenga, Ñires, and other species, and has a mountain chain with everlasting ice and snow as a backdrop. Arrival in Ushuaia, the southernmost city in the world. Meet & greet at the airport and transfer to the hotel. Balance of the day at leisure to explore the area on own. We suggest visiting: the interesting museums such as, The End of the World Museum and the Presidium. 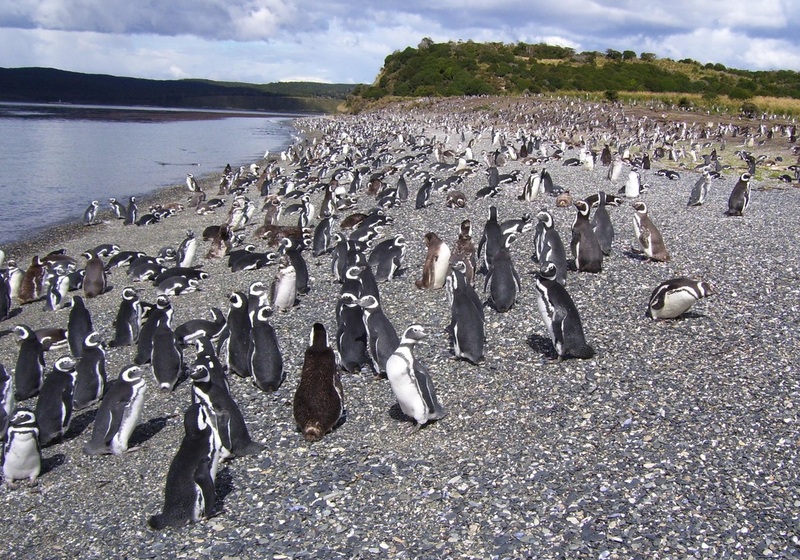 Tierra del Fuego National Park contains a summary of the landscapes in Patagonia: Sea, mountains and forest. Morning meet the guide in the lobby of the hotel. 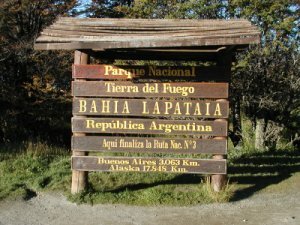 This will be a full day to visit this incredible National Park, one of the nicest in Argentina. Upon arrival in the park, we start a 7 km trek (3.5 hour walk) on a safe but uneven terrain with some slopes on the way, to a wonderful scenic point overlooking Lake Roca, Lagunas Verde and Negra, Rivers Ovando and Lapataia and Lapataia bay. Hiking through this beech forest we will be able to look for the Magellanic woodpecker, largest in South America, Austral parakeets, black-chested buzzard eagles and Andean Condors. We have lunch by the lake (Lago Roca) and in the afternoon we paddle in the National Park. After an instructive view in Lago Roca, kayak Ovando River, which flows, into the Green Lake, one of the most beautiful views of the Park. During this easy- downstream ride, we will enjoy the crystal-clear, quite waters of Ovando River. We will run into Laguna Verde, one of the most wonderful spots in this part of the Park. As we go on, we will be amazed by the beauty of the scenery. Approaching Lapataia Bay, we may encounter sea birds flying over, looking curiously at us: sea petrels, albatross, and steamer ducks, among others. Lapataia Bay is our final destination. After we disembark, we just relax and enjoy the early, southern sunset behind the mountains. We are at the end of the southernmost reaches of the Panamerican Road, at the end of the world. We drive back to Ushuaia and hotel. This paddling is very easy and great fun! It is ideal for families and group of friends! After lunch we follow a 2,30 hs hike (between 3- 7 km hike depending upon the passengers physical condition) in the island to try to reach the opposite coast on the Beagle Channel to see the Gables, a rock formation by the coast and then resume our navigation to the Penguin rookery at MARTILLO ISLAND, the domain of the Magellan Penguin and some few Gentoo Penguins. The unique location of this island (close to the point where the Atlantic and Pacific Ocean waters merge) allows for an incredible variety of rich subaquatic life, making it an amazing spot for birdwatching (petrels, skuas, cormorants, sea gulls and albatross). Once in a while some king penguins have been seen there too. Return to Harberton and back to Ushuaia. Morning at leisure to enjoy the city on own before the transfer to the airport to fly out. Welcome at the local airport and transfer to Ushuaia, the southernmost city of the world. On route we show you the most interesting locations in town. As an optional for today, you can visit the Navy Museum and the former Presidium of town. Morning at leisure, you have time to visit Ushuaia historic downtown. Just after noon we pick you at the hotel to transfer to the Port and get on boar to our boat trip in the legendary Beagle Channel. We visit Alicia Islan where we will watch a colony of Sea Lions, the Island of Birds where we can see Cormorants and the Light House Les Eclaireurs built by 1919. We get back to the port in the afternoon while we watch the Darwin range to the West and the Andes above Ushuaia. After breakfast we drive to Tierra del Fuego National Park . From here we get beautiful views of Lake Roca . We also have the chance to know the many flowers, birds and mammals that live in the Park. Also traces of the originary Yamana culture which inhabited the Island . Eventually we visit Lapataia Bay where the Panamerican route and the Route 3 ( Atlantic Coastal Route ) ends. In the afternoon we transfer to Ushuaia International Airport where this program ends. 2017-2018 price per person in US$: $665 for single, $525 double with English-speaking guide. 2 nights in Hosteria double or single room with breakfast. Bilingual (Spanish English) guide during all excursions. Transfer Ushuaia airport to Hotel / Hotel to Ushuaia airport. We combine regular and private transfer in our tours.